Are you a big fan of RC car racing games? Then wait no more, RC car racer: extreme traffic adventure racing 3d is the best game for you where you can drive your toy rc car beneath the city highway traffic like a crazy racer. So prepare yourself to get behind the steering wheel of RC car and literally enjoy the ultimate highway racing in extreme conditions. This RC car racing will give you the amazing and most satisfying traffic race experience which you would never learn in any toy car games. So take control of your rc car and prove yourself to be the king of rc car racing. 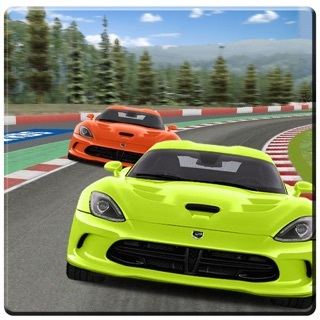 This rc car racing game is starting on the endless and busy city roads, so you will have to be very careful while driving your toy car and make sure not to collide high-speed racing cars. Because heavy traffic vehicles may hit you. Only experienced and professional crazy racer can perfectly avoid all the vehicles on the road. Show yourself to be experienced enough to face all exciting challenges in this rc car racing fever of traffic race. This is the most stunning city car racing of highway traffic racers on asphalt roads of endless tracks. Every mode of this rc car game would be a new experience and each mode has its own attraction, feeling and atmosphere. Drive rc cars among complex heavy traffic vehicles on the roads to be a real rc racer in this real highway racing.